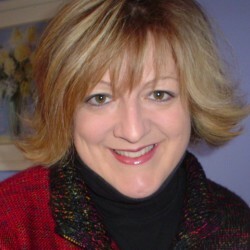 Hi, I'm Jen, a psychologist/author (psycho author) in Columbus, Ohio. I write romantic suspense for adults and new adults. And I'm a voracious reader of romance and fiction. I love laughing, swimming, volleyball, and Grumpy Cat. Iran Has a Nuclear Bomb! 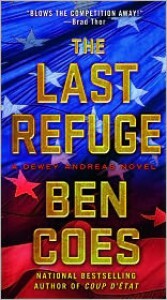 The Last Refuge is a political thriller spanning from the US to Iran. The plot is intricate, plausible, and gripping. This is my first read by author Ben Coe but it won't be my last. The story revolves around two men: Dewey Andreas, former US military, and Kohl Meir, Israeli special forces commander. Dewey is the whole package--hard, intelligent, and competent. Kohl, the grandson of Golda Meir, helped saved Dewey's life once. Now, Kohl's the one with his life on the chopping block, and only Dewey to save him. "What is it with these f-ing Iranians and their hostages?" asked Calibrisi. "It's like an industry over there. It's the only thing they're good at." Though humorous, that comment made me wonder if the author would paint all Iranians in a negative light. Then he describes the Iranian president's maniacal smile (that) crept like a small garter snake across his lips and my concern increased (great description, though!). But I liked how the author then makes a point that there are good men and women in every country despite the malfeasance of their leaders. Dewey Andreas is so confident that he views any threat as a fun challenge. Upon learning that a needed weapons dealer is the same man who almost got him killed, Dewey actually grins. You can almost hear him say, "Bring it on." It's a good thing he's so feisty because he has to rescue Kohl from an impenetrable prison all the while a nuclear bomb sits hidden deep in Iran, waiting to blast Tel Aviv into oblivion. The pressure's on! Dewey also has a keen sense of humor. I love what he writes to replace "Goodbye, Tel Aviv" on the bomb. While the plot is A+, the characterization was a bit lacking for me. I was invested in Kohl's future but Dewey wasn't as easy to connect with for me. However, I haven't read the first two novels in this series, AND the suspense/thriller novels I read have more romance in them, so take this criticism with a grain of desert sand. I'm in awe of the painstaking research this novel must have taken. Fans of political thrillers will love this taut, suspenseful story!